“Paintball”, is not a new thing for the lovers of adventure games. In most of the countries this has become one of the most popular adventure games. 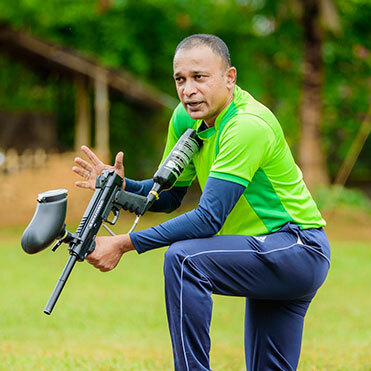 ONE FOUR BASE pointed out the demand for Paintball in Sri Lanka and started our operation in 2015. 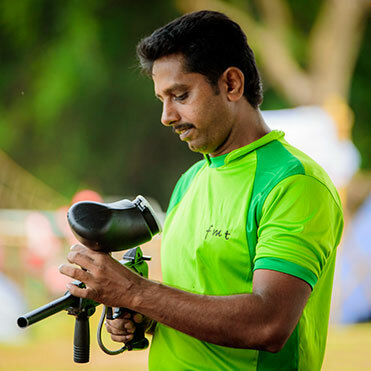 Our Paintball sessions are conducted by well-trained ex-army personnel, who are experts in adventurous games. 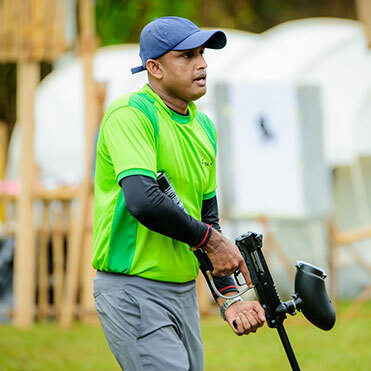 We own imported best branded and well maintained Paintball equipment to uplift the game experience in an exciting and safer way. In 2017, we started to conduct Paintball sessions in our own fields with all the facilities and with the same extraordinary experience as usual. On the other hand this provides you to choose your preferred place among two great fields than sticking to the only option. Our team will convey you all the information on your inquiries and will do unbroken coordination until the wind up of the game. We will alter features, hours of the game according to your requirement by protecting the safety in the top level. We guaranty you that we will deliver what we promise. All players are required to complete a registration form prior to participating, these forms can be completed in advance or on arrival of the day and must be submitted before the event. All players younger than 16 years required a Parental Consent, which has completed by a parent/guardian. We recommend completing these in advance to speed up your arrival on the day. Please also read through our Day Itinerary for further Paintballing handy hints. Child Registration Form (Under 16 Years). Click Here to download. Adult Registration Form (16+ Years). Click Here to download. Day Itinerary. Click Here to download.